Rachel was born and raised just down the road from Lake House Restaurant in Grimsby, Ontario. She has been working with us in a variety of positions for the past six years. Rachel started as a busser and has worked in almost every position in the front of house from busser to food runner to bar back to hostess to server to supervisor. It was this experience that made Rachel the natural choice for our full time Dining Room Manager. Rachel was recently promoted to this positon as of July 2018. Not only does Rachel have a solid restaurant background but many of her family members do as well, with many of them working at Lake House at some point in their careers. 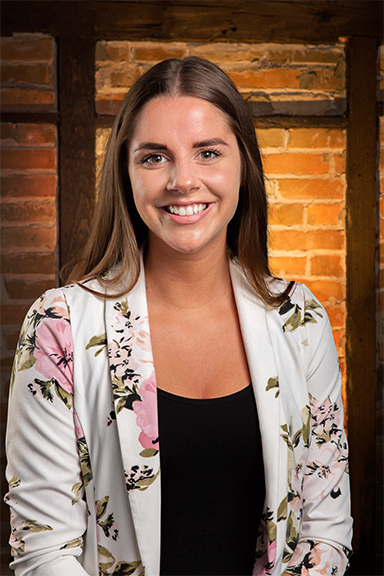 In addition to her experience in hospitality, Rachel owned a tanning salon for two years at the young age of 18! She has always been very active in fitness and she has been playing soccer for 18 years, playing at the provincial level. She has even been featured in Sportcheck commercials so you may recognize her smile! On top of all of this, Rachel has been a personal trainer for five years. No matter what task Rachel takes on, she excels and we are very happy to have her as part of the Lake House management team!